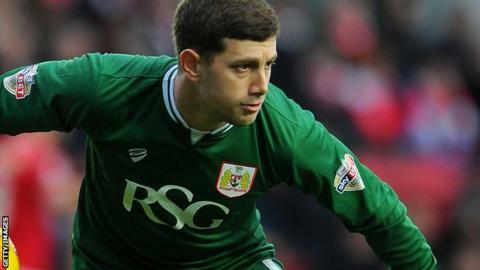 Bristol City goalkeeper Frank Fielding will miss the rest of the season after being sidelined with an ankle injury. The 28-year-old former Derby County keeper, who played 22 times for City earlier this season, suffered ligament damage in an under-21 match on Monday. As a result, teenager Max O'Leary has been recalled from his loan spell at non-league Kidderminster Harriers. "I feel really sorry for him (Fielding)," head coach Lee Johnson told the club website. "He's gone from being an ever-present in last year's success to his injury troubles which have thwarted his season this time around."